The first model by Rolls-Royce Motor Cars after that brand had become part of BMW Group was launched as the Rolls-Royce Phantom. 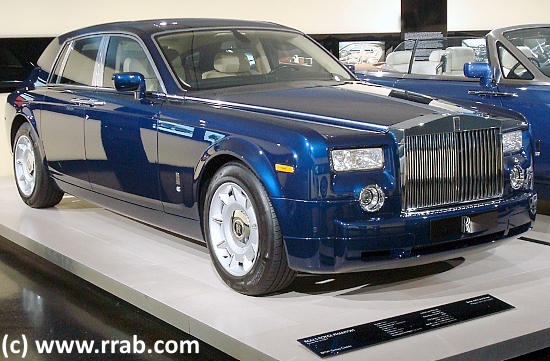 A later interim period when the designation was Phantom Series I – to mark a clear separation after the model had been up-dated and that version was marketed as Phantom Series II – ended when the manufacturer decided to list the model that had been produced from 2003 to 2017 as Rolls-Royce Phantom VII. The non-standard chassis-number of this car indicates a pre-series model. 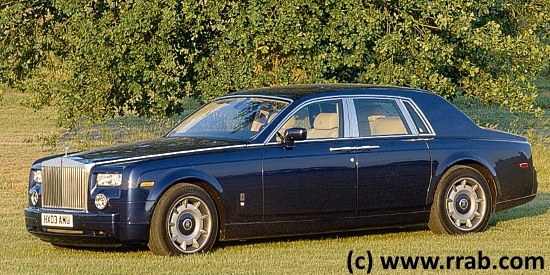 Chances to see Rolls-Royce Phantom with that outward appearance they had originally will dwindle rapidly. A significant feature of that car had been special light alloy wheels PAX 265 x 540 A shod with Michelin tyres PAX 265 x 790 R540A 111W. In that size they were made exclusively for the Rolls-Royce Phantom. PAX-Systems tyres by Michelin were described as a vital component providing an exceptional safety margin because they offered 'run-flat-technology'. Even with sudden loss of pressure the tyre would remain on the rim – and fully loaded the Phantom could be driven over a further distance of at least 100 miles at reduced speed, i.e. max. 50 mph. 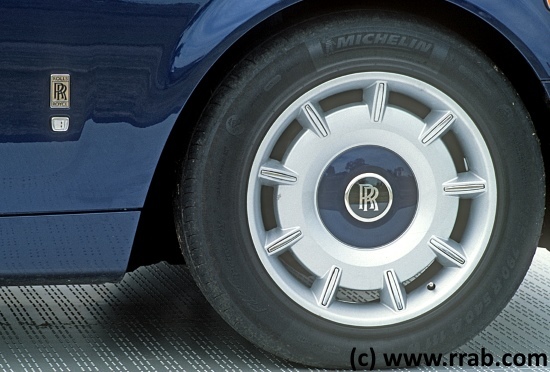 But the other side of the medal has been the special Michelin-tyres of this size PAX 265 x 790 R540A 111W were made exclusively for the Rolls-Royce Phantom. Different sizes were produced for the ultra-rare Bugatti Veyron and Michelin tyres to PAX-System were offered as an option for a few other cars but didn’t achieve a success in the market. The wheels were special, too, and required a special tyre removal machine. 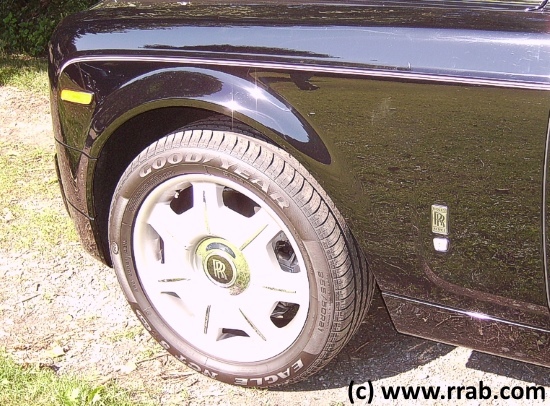 From August 2004 onward Rolls-Royce offered the option of 21-inch light alloy wheels with Goodyear tyres 255/50R21W on 8x21 rims at the front, and 285/45R21W on 9.5x21 rims at the rear. The Goodyear tyres were to 'run-flat-technology', of course, and can be removed at any garage and with any industry standard tyre removal machine. Inevitably that almost killed demand for Michelin's PAX-tyres to such an extend nowadays almost all the authorized dealers from the company's network seem to have rid themselves of the 'special tyre removal machine'. Caveat emptor, as the wise man says: Owners of the few Rolls-Royce Phantom 'Series I' or 'early Phantom VII' that are still running on Michelin tyres will have to invest in a complete new set of wheels and tyres. By doing so they’ll have to compromise as regards 'originality'. In 2013 U121614 was still owned by the company.